Q: Where can you purchase Salon DeMatteo Gift Cards? A: Salon DeMatteo Gift Cards are available for purchase during normal business hours either in-salon or over the phone. 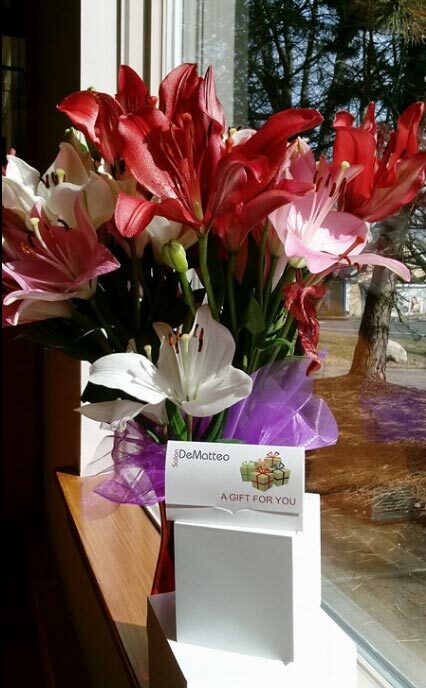 Q: What’s included with a Salon DeMatteo Gift Card? A: We offer a physical gift card upon purchase as well as an electronic record for both the recipient and purchaser. We offer gift cards for both retail and in-salon services. Q: Are there any restrictions when purchasing a Salon DeMatteo Gift Card? A: We want to make it as easy as possible so there is only one restriction, you can not add gratuity on-to any Salon DeMatteo Gift Card.